February | 2015 | Between Two Tides. 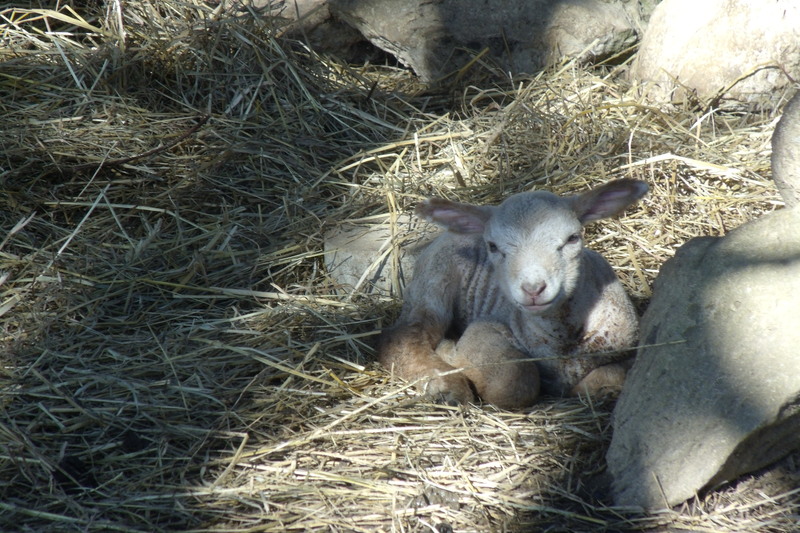 First Lamb of Spring: A childrens story. Not far away there is a beautiful green valley, where the sun shines often, and where the trees give shade in summer, and shelter in winter. Water falls with a splash over the rocks of a little stream that runs through the glade. Happy white sheep roam the little hills and graze the grass. 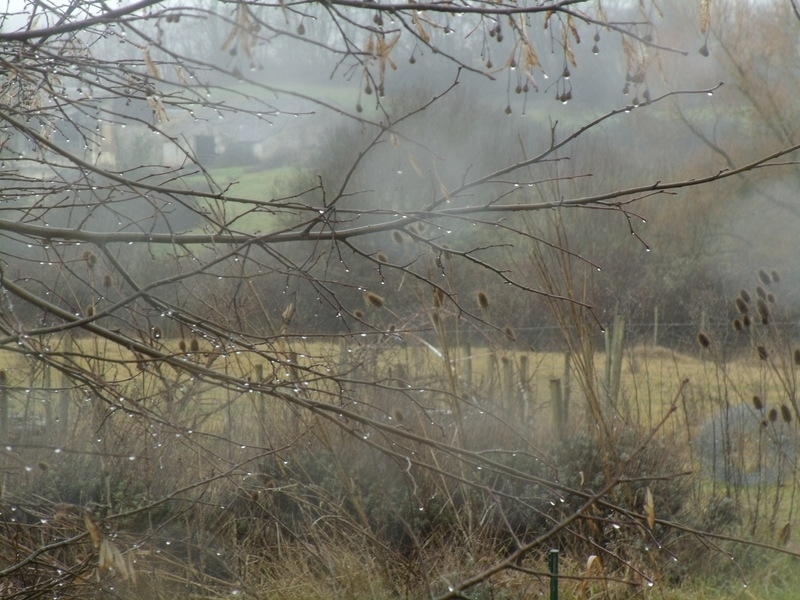 Just beside the stream there is a house, and in this house lives a boy called Pierre with his father and a dog called Argan. Pierre’s father is a shepherd who looks after the sheep. Every morning he rises at dawn, takes his crock and Argan to walk through the fields, making sure that his sheep are well. One morning Pierre woke up to discover the first daffodils opening, which meant that spring was arriving. He became excited because he knew that when spring came, the lambs would soon be born. Day after day Pierre begged his father to take him on his walks, but each day his father said, ” Not today son”. Pierre was very disappointed but he waited patiently and hopefully. Sure enough, the morning came when his father said, “Today you can come with me, I have something to show you”. 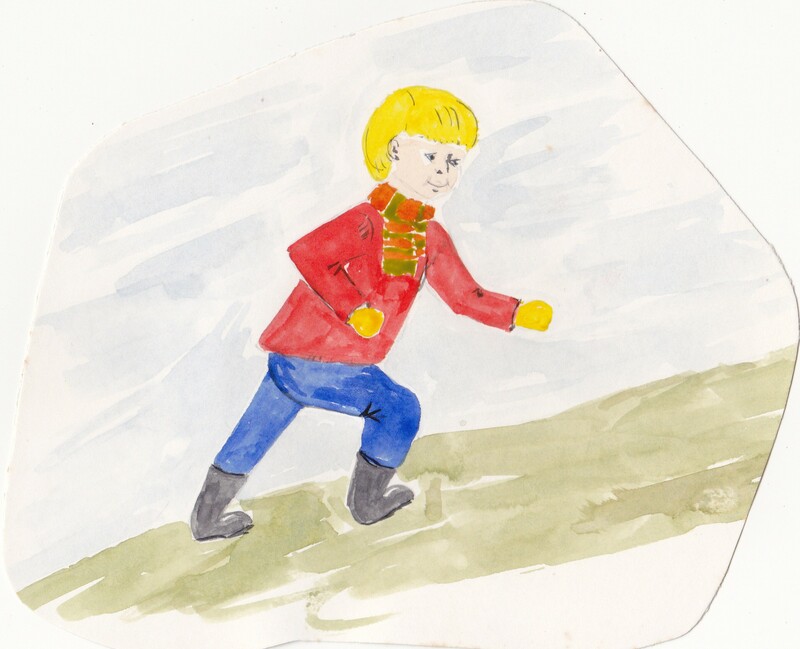 Pierre hurriedly put on his scarf and boots and followed his father. As they climbed the hill he became tired but he strove on full of anticipation. Eventually his father stood still near a hedgerow. He pointed silently into the thicket beckoning Pierre to look. Pierre peered into the thicket and gasped in delight as he saw a ewe licking her new born lamb. 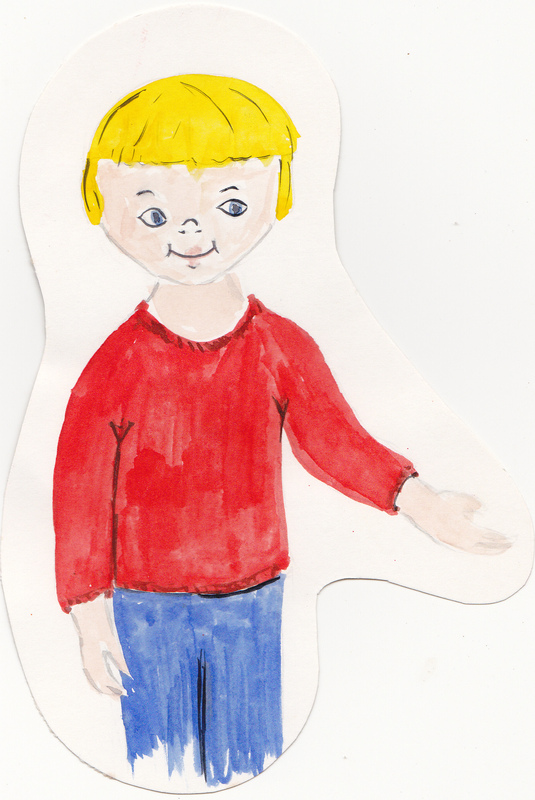 As Pierre watched, the little lamb shivered from head to toe, then picked up his two front hooves, balanced on them and with determination lifted himself up to stand unsteadily on his four limbs. Then he turned to his mother in search of her milk. 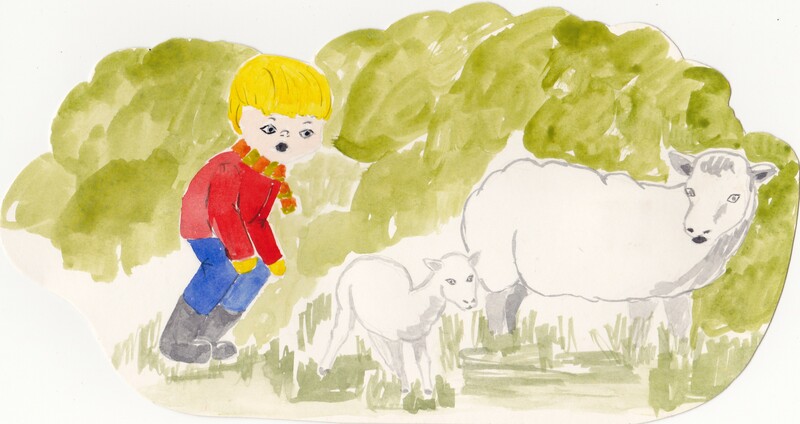 For a long time, Pierre and his father watched spellbound as the lamb became stronger and more curious, while his mother guarded him protectively. The little lamb became fearless enough to wander towards Pierre, who was able to stroke the lamb’s skin. All too soon Pierre’s father said, ” It’s time to go home and leave them in peace”. 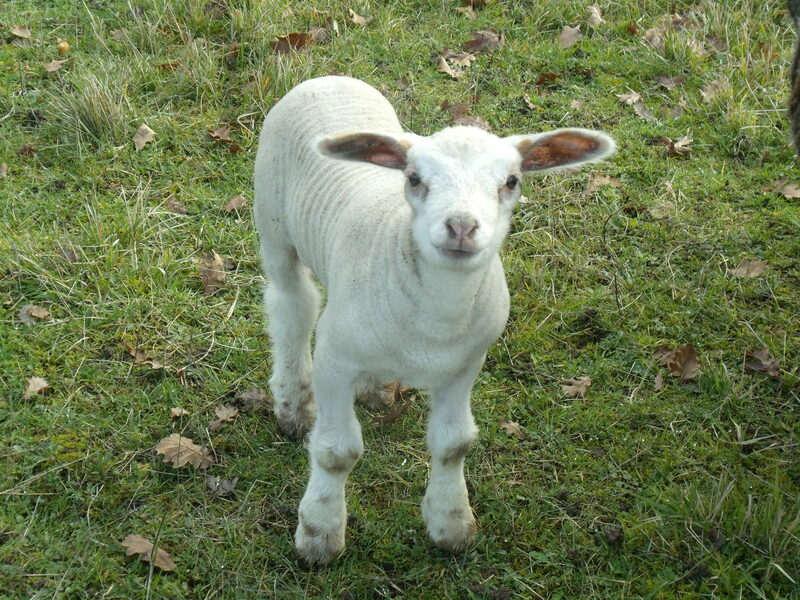 As they walked back, Pierre realised that he would cherish the memory of the first lamb of spring forever. Meet Snowy who was actually born a week before Christmas 2014. His cousin born 20th February, 2015.
at end of day, the lake gives. Frogs bellow broken trumpets across waters. Jackdaw screeches an octave or two higher. Winter ducks beep their horns in percussion. Elderly carp laze in sunlit dapples. Tiny turtle clambers the bank for some rest. Mother coypu and infants leave their damp den to play, preen and graze. Fox seeks his supper. Deer pass by. Badger, marten and wildboar stop for a drink. 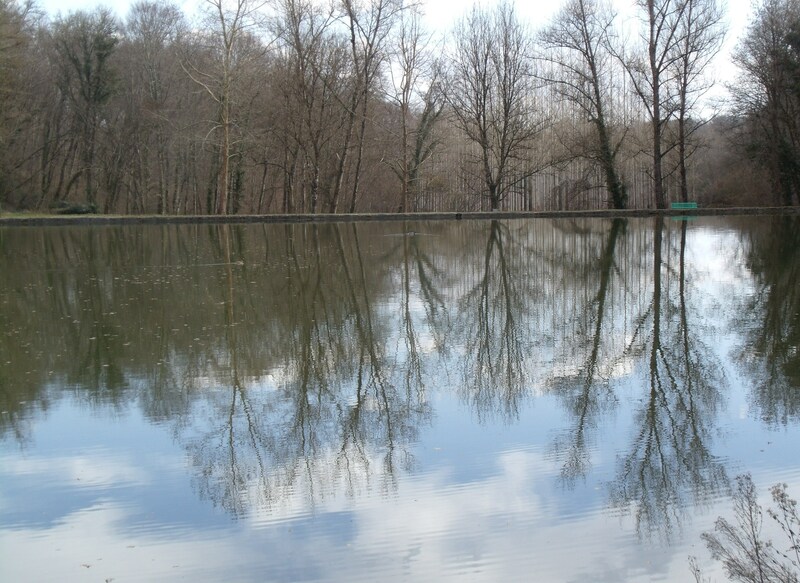 So visit the lake for tranquility, but remember what happens when nobody’s looking. Coypus were brought to France from South America for their fur. Later they colonised in the wild alongside rivers and lakes. Sadly they are considered pests now and culled yearly. 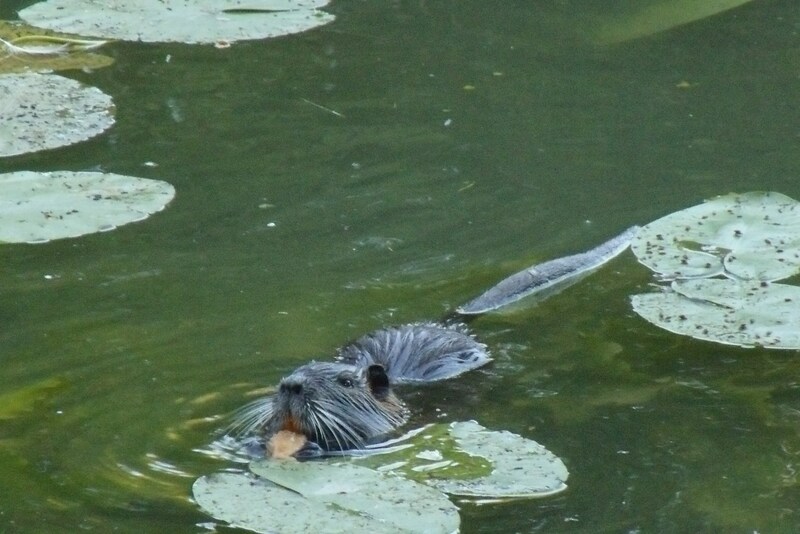 I have fond memories of Mr. Coypu who overcame his timidness for love of a piece of bread each time we visited. quenching waters on parched earth. to fix those broken tiles. 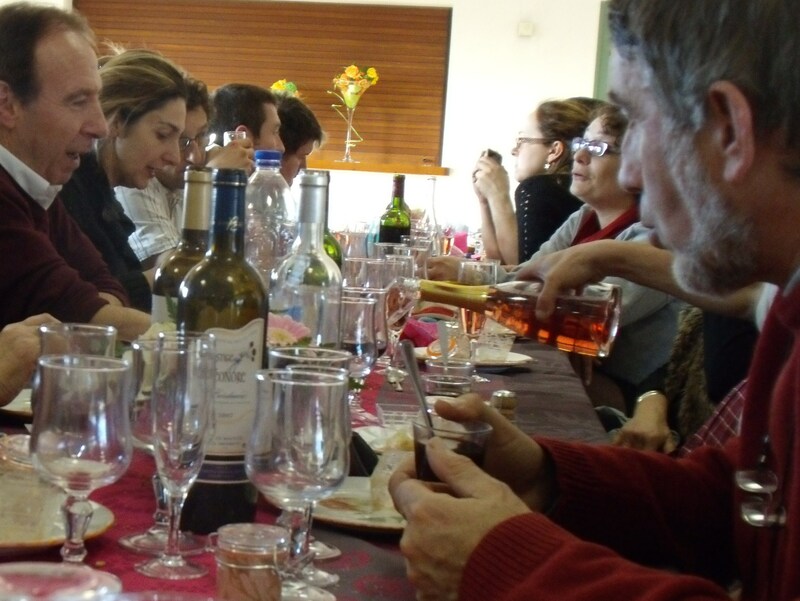 “Repas Communal Invitation”: The Mayor invites you to his Community meal. Take; 1. A big handful of local farmers, in sunday best, accompanied by their smiling wives. 2. One measure of retired professor bringing intellect to the table. 3. One sifted neighbour with his wife, three children, mother, sister, brother in law and granny. 4. A pinch of english folk, to pepper the conversation with franco- anglais. 5. A bowl of blended council gardener and council members for harmony. 6. Several bottles of wine producers, who are loved by all because they bring extra bottles for consumption gratuite. 7. A sprig of herb from Haute Savoie. 8. Last but not least, la creme de la creme, Monsieur Le Maire who has carefully prepared, and will deliver his speech on solidarity. Throw all the ingredients into the salle de fete (village hall ) and simmer. Serve with an aperitif, a six course meal, several glasses of rosé or red wine, or both, and finish with sparkly. 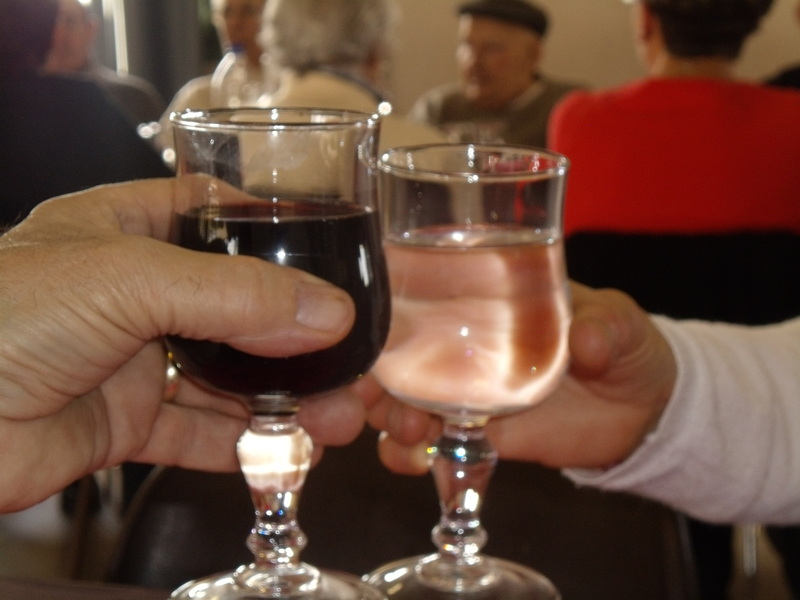 The end result is a taste of conviviality, neighbourly love and as Monsieur Le Marie did say – “solidarity”. 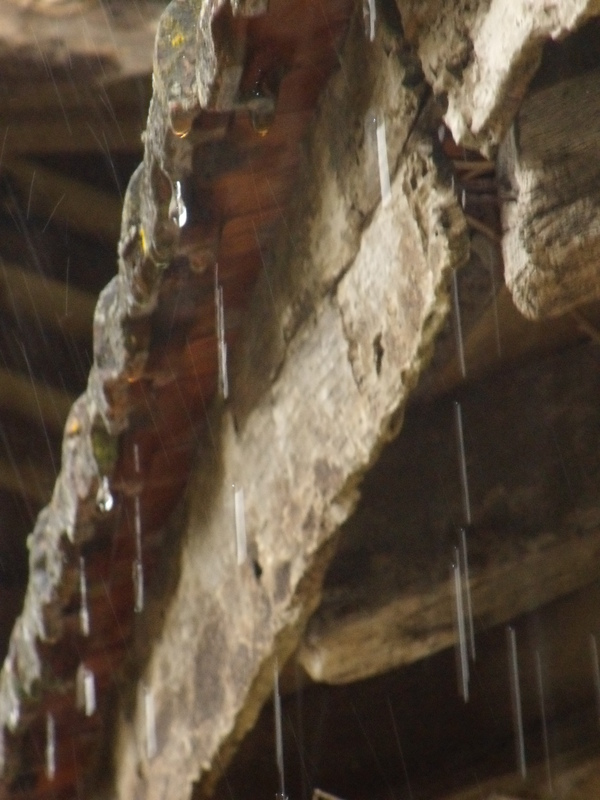 January: Season for “pulling the wood”…come rain, sun or frost. “On va tirer les bois”, “Let’s pull the wood”. Boots on, warm coat and hat, heavy duty garden gloves, then brave the cold and wet of January. For the season of “pulling the wood” has begun. The pruner has left, but prepared my way. 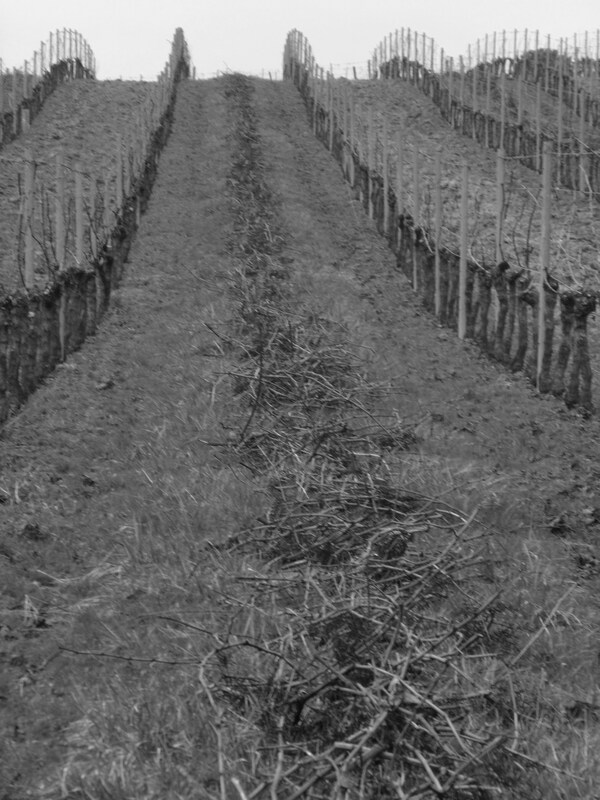 He has cut the vine, left two short spurs. But canes hang limp, while tendrils clasp tight to their wire support. Start at the first vine, first row. Work one vine after one. Grab the wood and pull, take one step, grab the wood and pull. My back soon aches, the vine slaps, my face stings. Clay mud sticks to my boots, so I can hardly move. 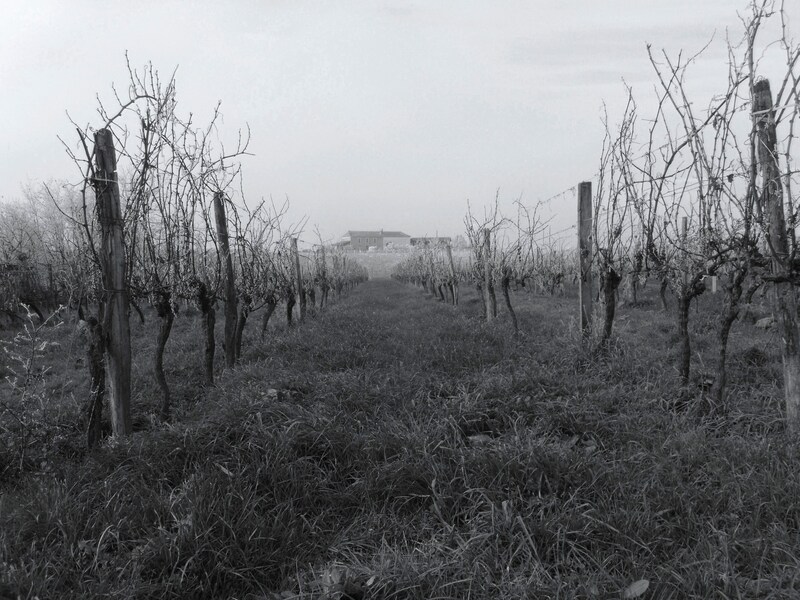 How many vines in a row? How many rows in a yard? .The sun breaks, warms my limbs, hat off then coat. Time is swallowed in rhythm and quiet. Distraction comes with sounds on breeze, a birdsong, a car engine, a voice somewhere.One more, and one more, then it’s done. Shake off mud, shake off work, time to trek home.